After 13 years of waiting, the time has finally come for a new Alphaville fan CD release with cover versions made by fans from all over the world. 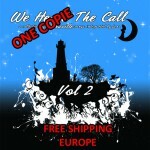 It's time for volume 2 of WE HEARD THE CALL! 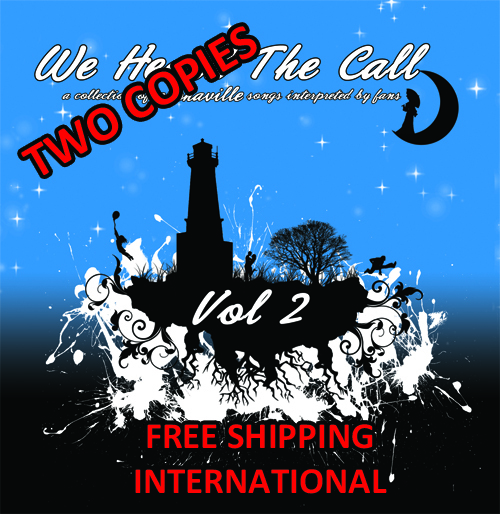 A collaboration between fans from all over the world and the international fan community New Horizons / The Dreamroom (www.alphaville.org). This project show our love to the band Alphaville with this tribute album. 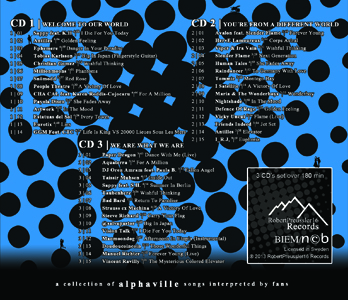 A printed 3-CD set over 180 min with 44 covers made by fans to Alphaville from all around the world. From old hits like Big In Japan, Summer In Berlin and Forever Young to the new hits like I Die For You Today and Phantoms.